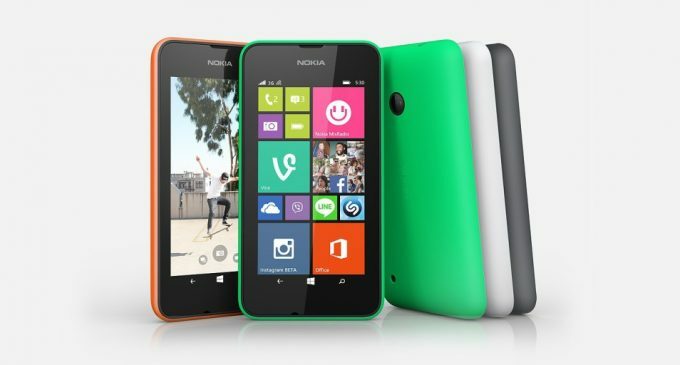 The new Nokia Lumia 530 is a successor of Lumia 520, which will reach the market with the price of £60, but the predecessor Nokia Lumia 520’s price is £100. It is cheaper than the Motorola’s Moto G and Moto E phones and EE’s super cheap 4G phone the Kestrel. Let’s read this review to know more about the new Nokia Lumia 530. Also watch out the Nokia Lumia 530 vs Motorola Moto E.
The new Nokia Lumia 530 has the detachable brightly colored made plastic back such as the green, lurid orange, bright powdery blue, white and black and more. At the back you can find the access to the battery and SIM slots, obviously removable battery is always a good thing. It has the 120x62x12mm dimensions and weighs in at 129g, so you can use it with easy and comfortable. At the back you can find the camera and rear-facing speaker and at the bottom is a USB charging and connector port, and at the top is a 3.5mm jack for your headphones. The new Nokia Lumia 530 has a 4inch display with the TFT capacitive touch screen and it boasting 16M colors, which has the 480 x 854 pixel resolution and the 245ppi pixel density. When compared to the Lumia 520 the successor is better in display but it really poor-looking display compare to the Moto E.
Lumia 530 is powered by the quad-core Qualcomm Snapdragon 200 processor clocked with the speed of 1.2GHz and it is paired with only 512MB RAM and Adreno 302 graphics card. Moto E somewhat lacks in speed than the Nokia Lumia 530 and the 512 MB of RAM will not make a problem in performance. In Lumia 530 you can get only 4GB of onboard storage, If you want to store music, video or photos you will need to expand the storage by using an SD card slot that will accept up to 128GB. The new Nokia Lumia 530 offers 5Mp rear camera with a 1/4in sensor and captures 480p video at 30 fps and then its Li-Ion 1430 mAh battery offers up to 13 hours of talk time. 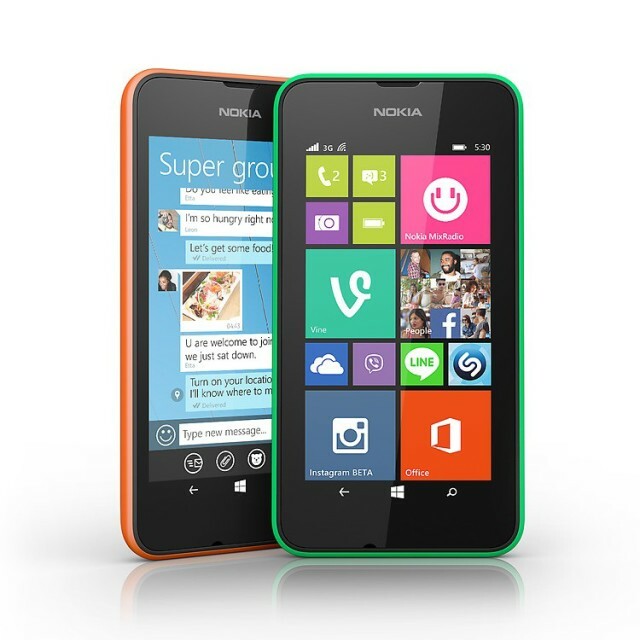 These are the important specifications of the Nokia Lumia 530.